An old piece of mine from the Capital Letters blog. I don’t have a yacht and I don’t come from money. I buy most of my books online and read reviews before purchasing. I’m eyeing off Not That Kind of Girl by Lena Dunham, A Girl Is a Half-Formed Thing by Eimear McBride, and The Prince Lestat by Anne Rice. For those of you who, like me, enjoy a recommendation before buying a book, I have put together a currated list of well regarded contemporary and classic books for a variety of reading moods this season. You want to use your intellect during weekends in the blue mountains in amongst bush walking and antiquing. Going on a mini break doesn’t mean you’re not up for an emotional and ideological awakening. A vivid review of one of my favourite books. 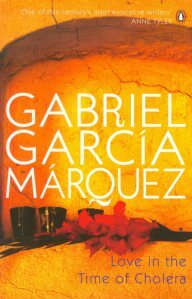 Gabriel Garcia Marquez is a master of lush proses, vivid descriptions and also a literary alchemist who takes all the elements of an epic story and produces a novel that will leave you enchanted. Set on the exotic Caribbean coast at the dawn of the twentieth century, it tells the story of this seemingly hopeless teenage romantic Florentino Ariza and the object of his affection, the beautiful and mysterious Fermina Daza. Set in a time where Cholera, a disease which ravages towns and leaves death in its wake. and certainly a metaphor for the power and madness of love. We often hear that we should “show, not tell” — that we should paint a detailed picture for our reader that lets them see what’s happening, rather than simply narrating. Easier said than done! All details are not created equal: some detail throws a barrier between the reader and your story, and some detail is (ironically) not detailed enough. How do you tell whether a detail helps or hurts? Here are four things to keep in mind when you’re writing descriptively, and some writers who illustrate them perfectly. Including every detail is the written equivalent of your friend who can never get to the point of a story because he can’t remember if it happened on Tuesday or Wednesday, or if it was 1 PM or 2 PM, or if the car was red or blue. Good detail is relevant to the point of your post. Earlier this year, we talked to four professional writers about the freelance life, getting paid to write, and writing for free and exposure. If you missed it the first time, be sure to read this roundtable, full of great advice for new and aspiring writers in particular. Give us a breakdown of your typical day. Every day is different. I start by reading the New York Times. I listen to BBC World News or two great WNYC radio shows, The Brian Lehrer Show and The Leonard Lopate Show, from which I get story ideas and learn about the world. I start work by 10:00 am — I’m not a morning person! If I’m working on a story, and usually several at once, I’m seeking sources, conducting interviews, writing, reading, or revising the pieces and answering questions from my editors. Interested in more blog vs. post discussions? Read Slate’s take, Meg Pickard’s note on terminology, and Kristen Havens’ semantics lesson. A blog is your site, posts and pages and all. What you probably meant to write is: “In today’s post…” Or: “In today’s blog post…” Posts make up the content you create on a regular basis, while your blog is your complete online home, your site, on which you publish your posts.